This tool is designed to remove scale model plastic parts from the parts sprue. The sharp jaw blades offer an excellent cutting edge, and they have a slightly slimmer jaw than previous Tamiya plastic cutter products, enabling easier removal of smaller parts which have less clearance. 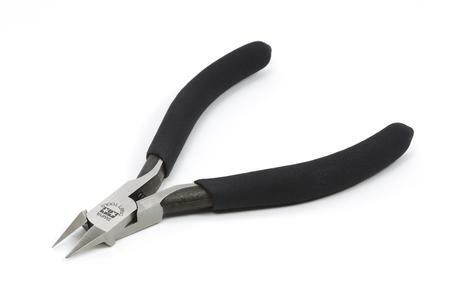 Easy-to-use tool features slim jaw with an excellent balance of durability and cutting edge. 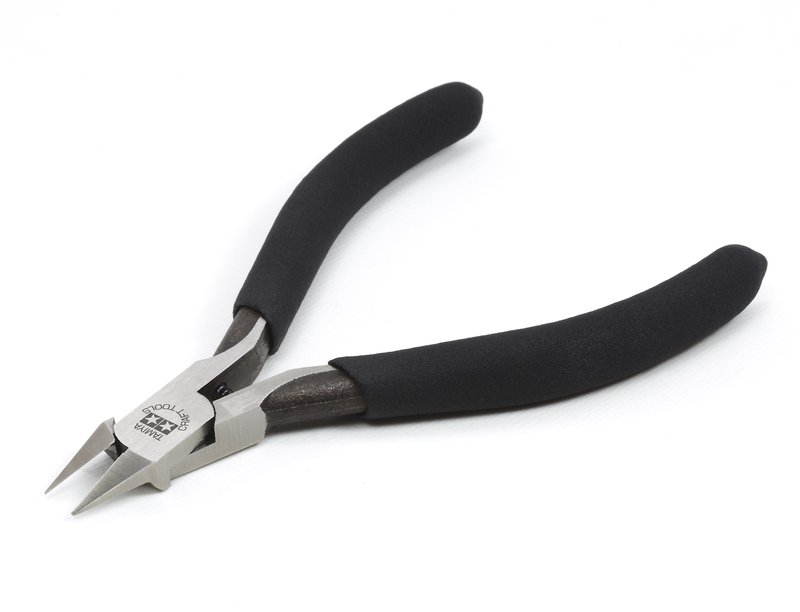 PVC grip covers ensure that the side cutters stay firmly in your hand during use. The tool is marked with the twin star logo and TAMIYA CRAFT TOOLS FOR PLASTIC.